Can I select multiple people to receive a form via email? Is there a way that I can select multiple people to receive this form via email once it's filled out? You should create each conditions for each departments. Let us know if you need further assistance. Thanks! I have one more issue happening. I have set up all of the conditions and the email forwards work fine. The issue I'm having is that when I select multiple emails, it only sends to the first email and not the others. Did you do it this way? 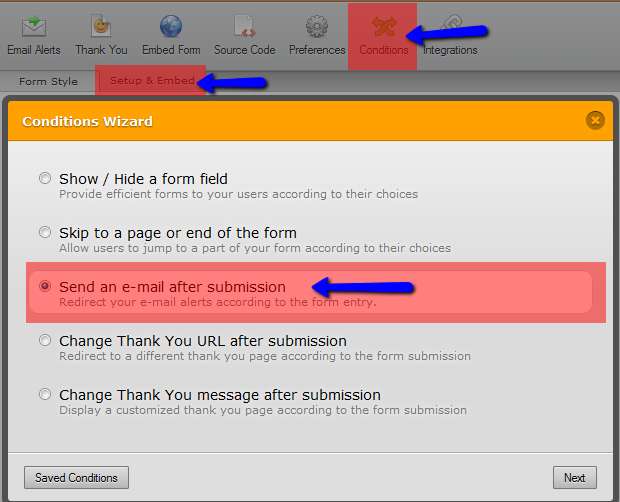 Try to enter multiple email address separated by commas, that might help.